I grew up with my mom making banana bread fairly often, that is, every time we didn’t eat the bananas fast enough and they got too brown on the counter. She had a recipe from an Amish cookbook that she used. When I got married, I made this same recipe for my husband, but he thought it tasted a little dry, so I went in search of a new recipe. 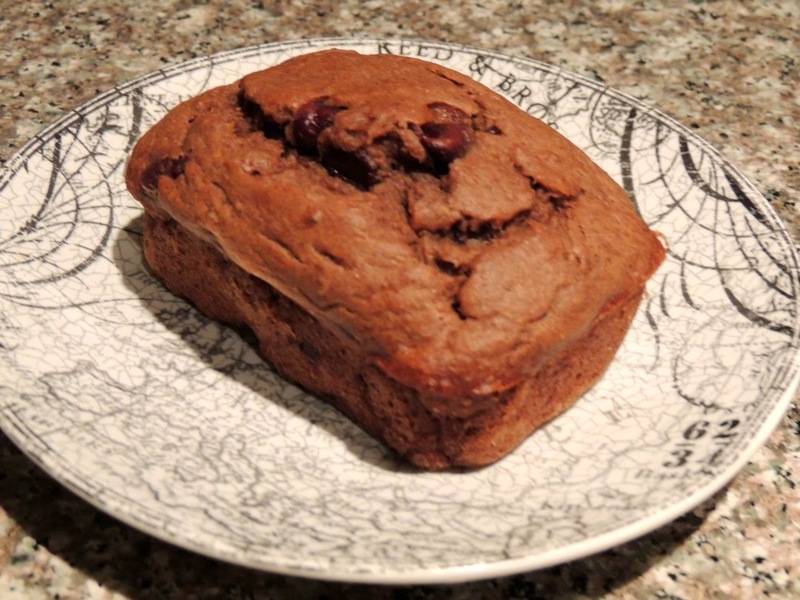 I eventually landed on the recipe I’ve been making ever since which turns banana bread into chocolate banana bread. This recipe has been a hit every time I’ve made it for both family and friends. I don’t remember where I saw the original recipe, but I’ve changed a few things along the way, like making it with whole wheat flour instead of all purpose. I try to substitute whole wheat flour whenever I can, and I’ve found that as long as you add a little bread flour with it, the bread comes out just as fluffy as when made with all purpose, and I honestly don’t taste the difference. I hope you enjoy this delicious treat of a recipe as much as my family and friends do! 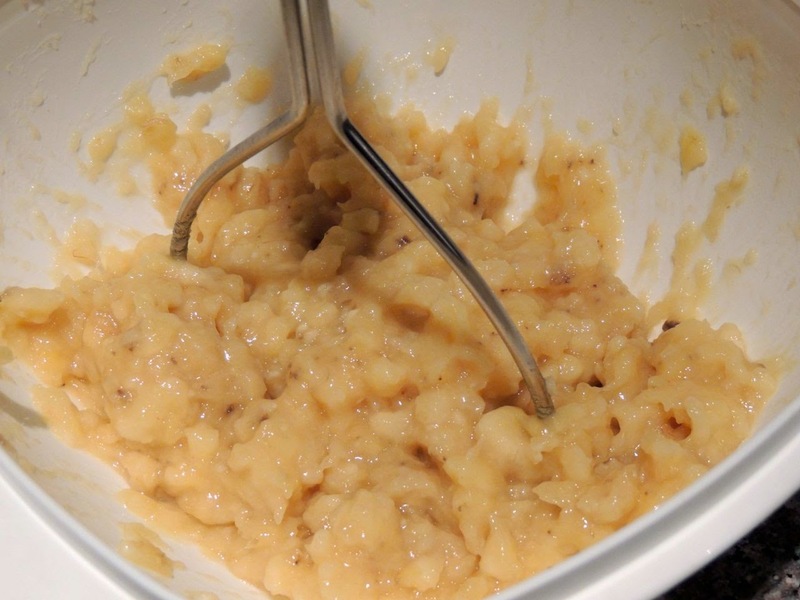 In a large bowl (or the bowl of your stand mixer), cream together the butter, Splenda and eggs. Mix in the bananas and vanilla. 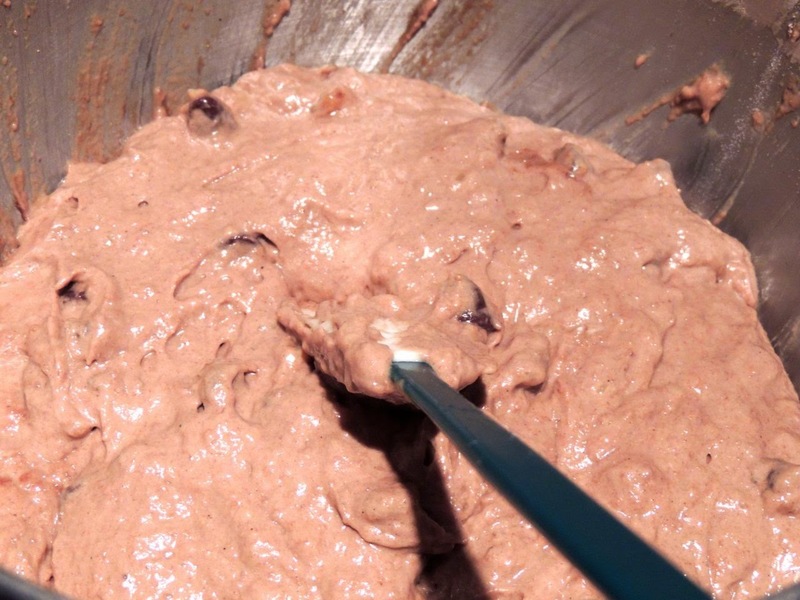 In a small bowl, sift the flour, baking soda and cocoa powder together to combine. Then add this dry mixture to the wet mixture in the large bowl and mix well. Mix in the sour cream, chocolate chips and walnuts (if using nuts). Spray your bread pan and pour in the batter. 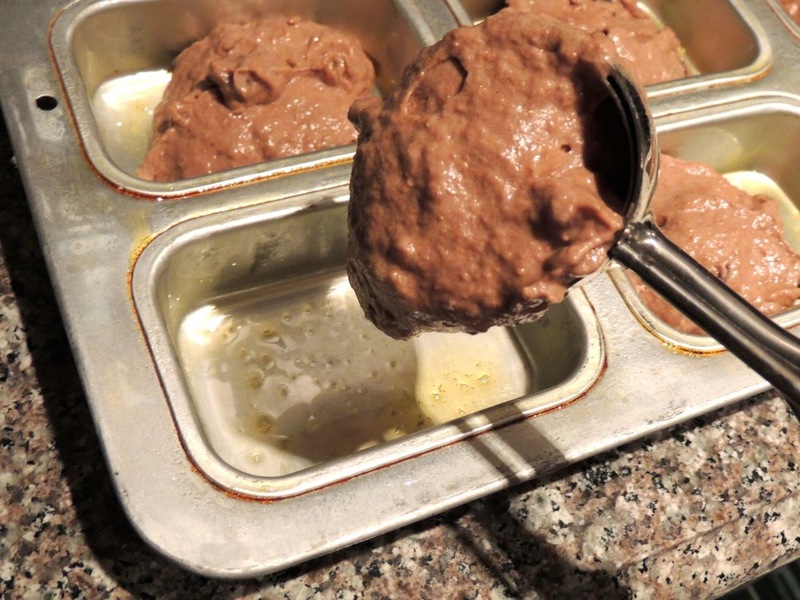 If you're using a mini-loaf pan or a muffin pan, I find that using a cookie dough scoop is that easiest way to transfer the batter. If using a traditional size bread pan, bake for about an hour. 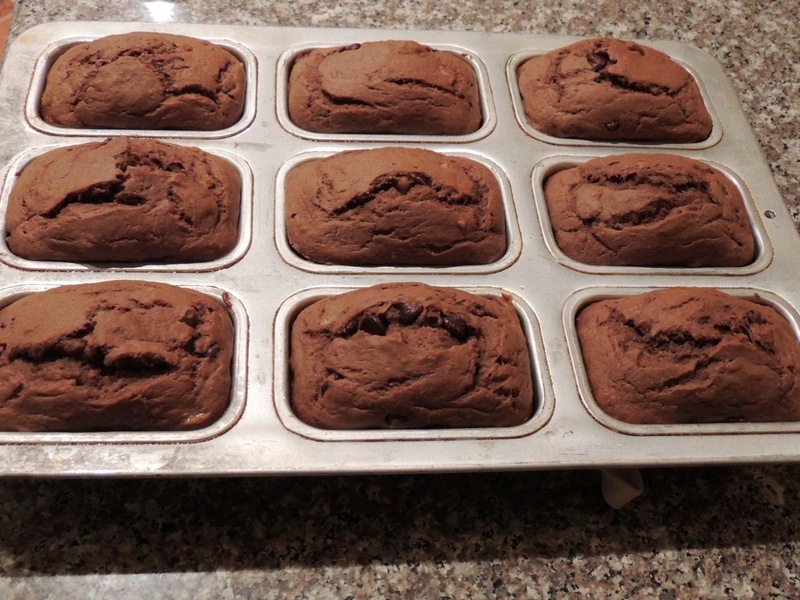 If you use mini loaf pans (my personal preference), bake for about 20 minutes. 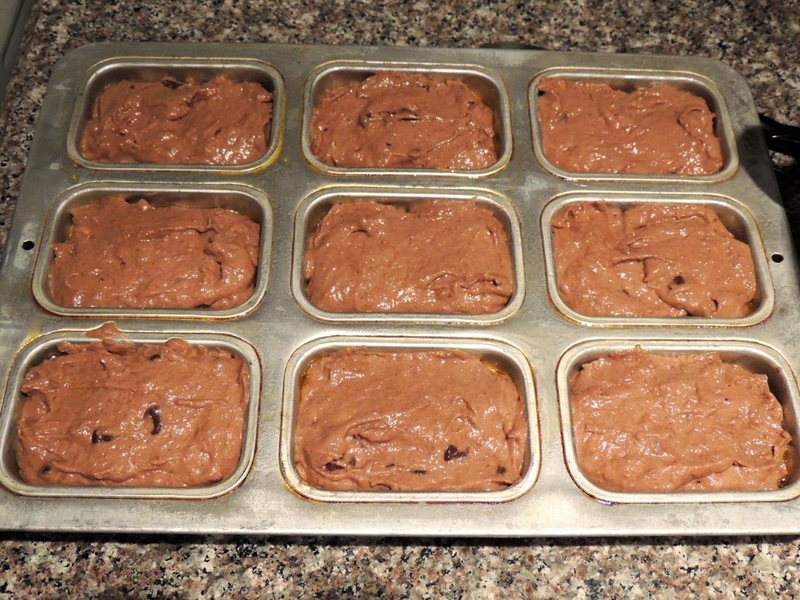 In you use another size bread pan (muffin pan, mini muffin pan, etc), just take your best guess on timing. I find that it’s better to underestimate and add a few minutes if necessary (maybe try 10 minutes and check it). Whatever pan you use, the bread is done when a toothpick inserted in the center comes out clean. Let the bread cool on the counter in the pan for about 10 minutes. 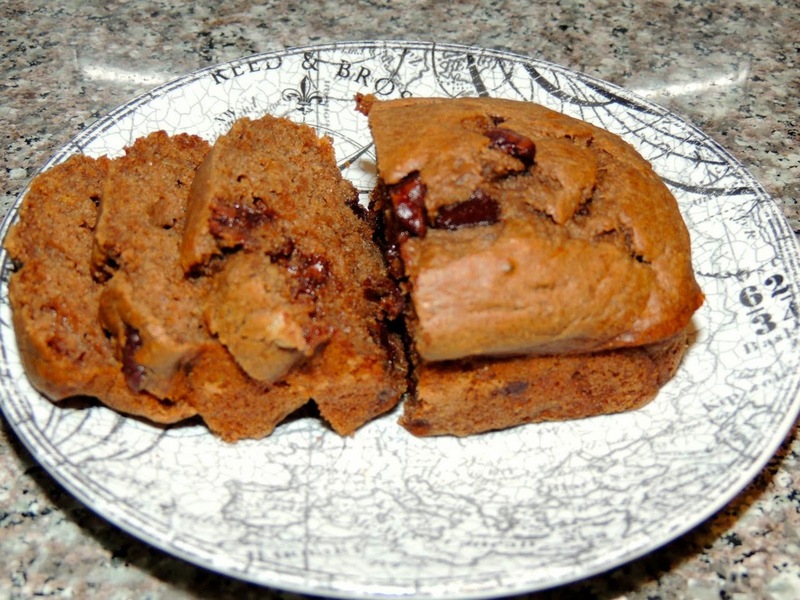 Serve warm (the chocolate chips will be melty!) or at room temperature. You can refrigerate leftovers for about a week (if they last that long!). If you’re having a party or want to make this bread look even more impressive, you can double the recipe and bake it in a bundt cake pan for about 90 minutes. Dust it with powdered sugar or drizzle a simple glaze over it. What a yummy chocolate fix, right?